Under Anthony’s leadership the Trust has grown, reasserted its Christian basis and has become a financially sound organisation that delivers high quality interventions. Anthony has worked tirelessly to ensure that the Trust has not only weathered the challenges within the sector but that it bucked the trend and continued to grow during a season of Government cuts. We are indebted to Anthony for the time, wisdom and effort he has applied to his time with the Trust. 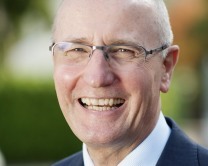 He will be replaced by Malcolm Hayes (pictured) who has a range of experience as Trustee and Chair for organisations set up to transform people’s lives. 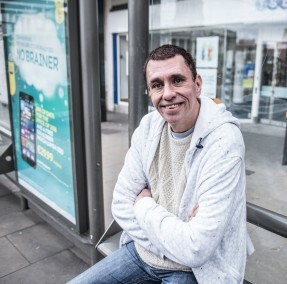 His achievements include leading the reference council for an award-winning transformation project – Hemmingwell Estate – which turned from being a centre of abuse, drugs, violence and prostitution to a regenerated area, providing skills and sought-after housing for the local community. Speaking about his appointment to Langley and Kainos, Malcolm commented: “I am delighted to be appointed as Chairman to lead the Board of an outstanding Christian charity working in such a hugely challenging area of rehabilitation.” He will begin his role as Chair on 28thJanuary 2015. Kainos Community delivers a ‘Challenge to Change’ behaviour programme in prisons across England. It merged with Langley House Trust in 2013, a national charity working with ex-offenders in the community to help them live crime-free. Both charities have a Christian ethos but they work with people of any faith or no faith.